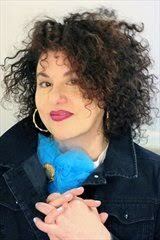 Adriana Trigiani's latest novel is a feel-good Italian-American romp filled with wonderful drama and comedy, much like the Shakespearean plays that are referenced and part of the plot. I enjoyed reading it and was entertained throughout. Set in 1950s Philadelphia, it richly described the post-war era in an Italian-American borough. Nicky Castone is an average guy, orphaned young and raised by his Aunt Jo and Uncle Dom. He works as a cab driver in the family business and moonlights at the local theater where he loves to help the actors perform Shakespearean plays. He has a fiancée of seven years but overall is not truly happy. When he risks everything by impersonating an important Italian person, he sets off a set of events that brings about big changes for him and his extended family. I loved the scenes between the family members, how everybody is in everybody's business. Like Shakespeare's plays, the drama that unfolds is tempered with comedic relief that cracked me up. Yeah...Italians are crazy enough to pull some of the stunts portrayed in this book. (My hubby and I are both children of immigrant Italians who are loud and boisterous.) Nicky starts out as an anti-hero, flawed and lovable, whose great qualities are subtle and heartwarming. Even the secondary characters were memorable, like Hortense Mooney, the black woman who worked as a telegraph operator. I found this book different from The Shoemaker's Wife, which I loved. That was more about the immigrant experience and was truly epic and moving. 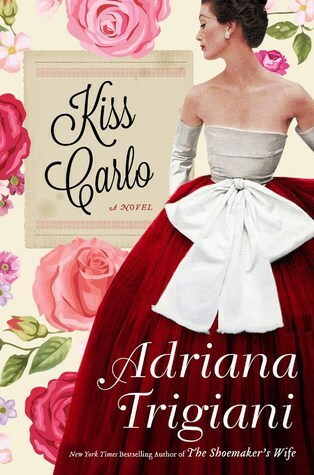 Kiss Carlo is more lighthearted and in line with Trigiani's Valentine trilogy and Lucia Lucia. So if you loved her storytelling in those books, you will love Kiss Carlo. It was a fun and entertaining story that would transmit well to cinema. Brava Adriana! To read more reviews, please visit Adriana Trigiani's page on TLC Book Tours. I agree - this is more like her old style of books. I loved it! I enjoyed your review. I enjoyed The Shoemakers Wife. I'm going to add this to my ToRead list! Yes! I agree with your comparisons to her previous novels. A very enjoyable reading experience, for sure. As the daughter of an Italian-American family, so much of Trigiani's stories and characters resonate with me - they're like my family! Yes you've sold me too!